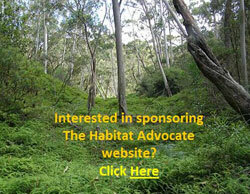 For those who have purchased an escarpment-edge bush block in Blue Mountains villages of Leura, Wentworth Falls or Katoomba, who have ‘arranged‘ for native escarpment habitat to be killed in order to gain property views to the magnificent Jamison Valley, such actions are selfish and contribute to the ecological vandalism and disappearance of important and scarce escarpment habitat. 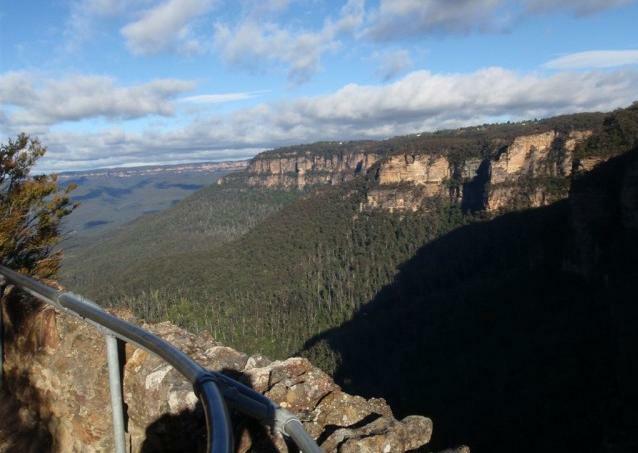 For others enjoying the Jamison Valley naturally on foot, to look back up at the Leura escarpment has become an ugly one dominated by increasing housing development. Views are bidirectional, but try explaining that to a property developer or to those real estate agents who only appreciate the sales commission. 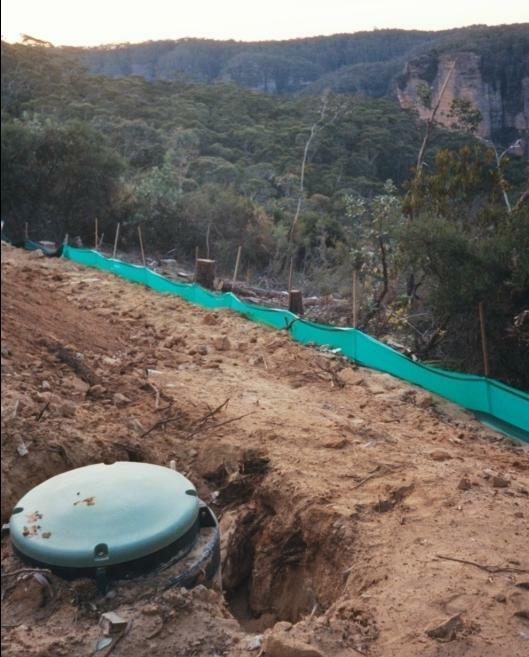 On the spectacular escarpment fringe of the much valued village of Leura in the much valued Blue Mountains, not only have the fire-lighters taken a fancy at setting fire to nearby prized escarpment bushland, but the property developers have been in with the bulldozers. 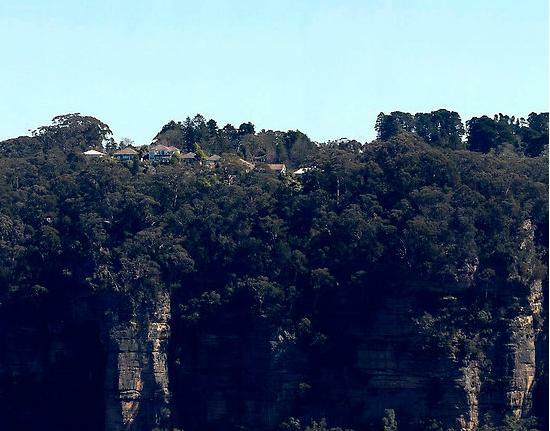 The Blue Mountains (city) Council has for decades signed off on developer applications for clifftop development and consequential deforestation. 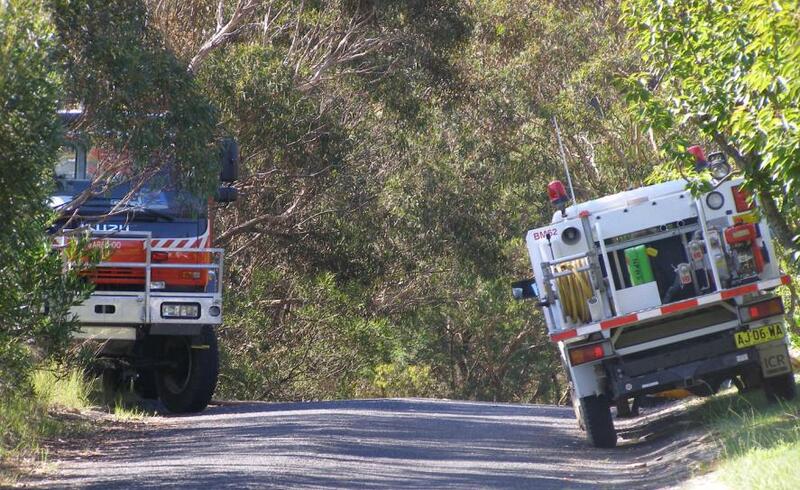 More recently, Blue Mountains (city) Council continues to happily signed off on approval of applications from subsequent clifftop property owners to ‘hazard reduce’ the surrounding escarpment bushland ~ either to improve the views or to save money having to bushfire protect their properties. 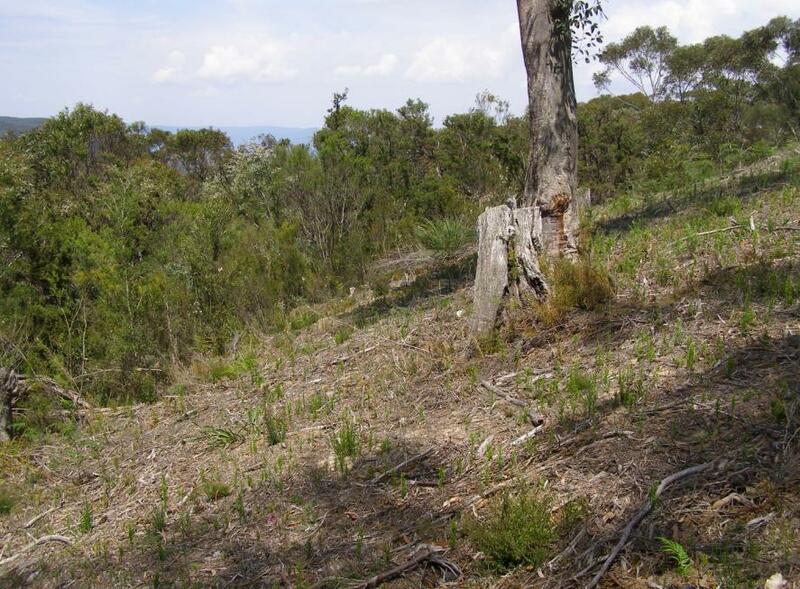 Either way, valuable limited habitat along the Blue Mountains escarpment overlooking the Jamison Valley continues to disappear for new selfish housing views. 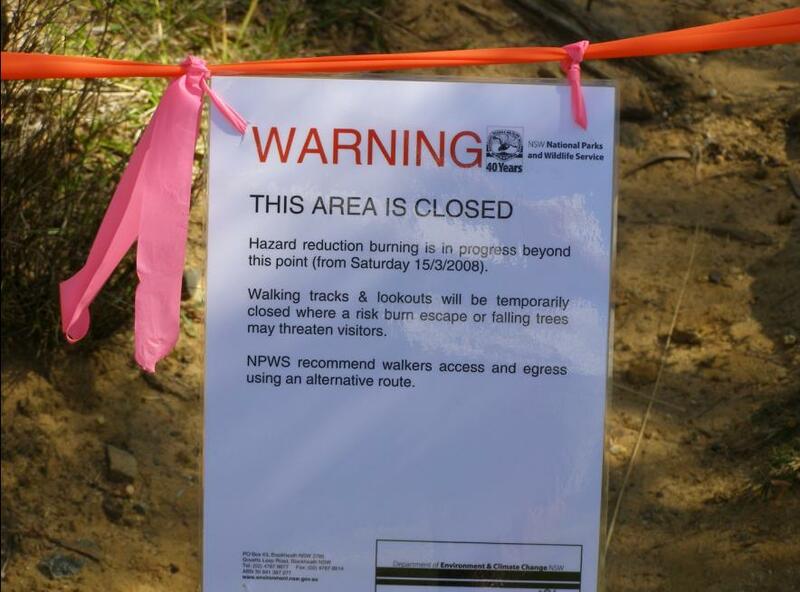 Wildlife Service ‘hazard reduction’ burn notice for Sublime Point escarpment at the end of Willoughby Road, Leura back on 15th March 2008. Warrimoo Rural Fire Service set up to conduct hazard reduction at Sublime Point, Leura (Carleton Road, Leura, 15th March 2008). 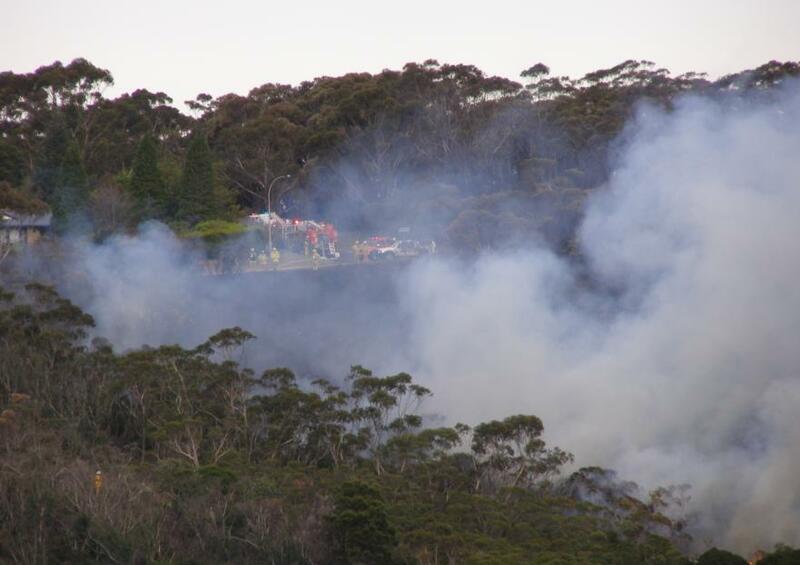 Rural Fire Service setting fire to escarpment vegetation at Sublime Point on the Jamison Escarpment, Leura. (Photo from Willoughby Road,Leura, 15th March 2008). DECC Wildlife Service ‘hazard reduction’ burn notice for Sublime Point escarpment again on 24th March 2009, almost exactly a year to the date. 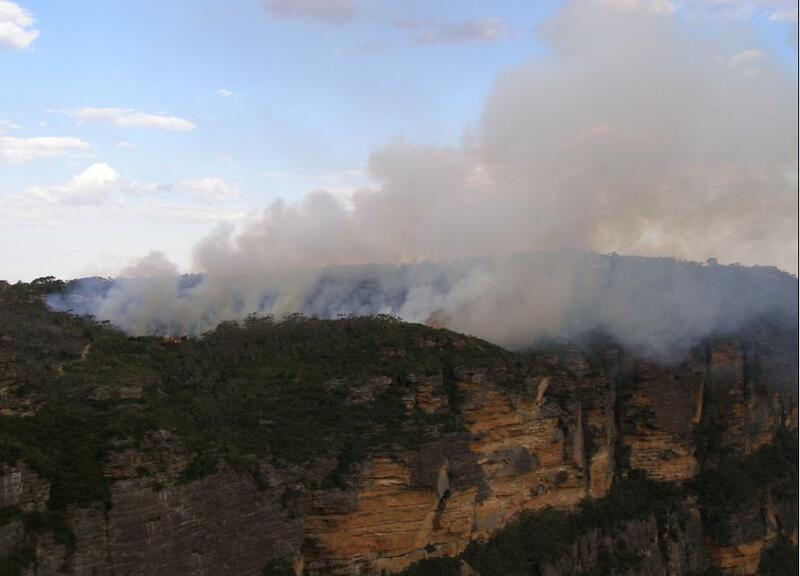 Blue Mountains Wildlife Service ‘hazard reduction’ burn of the Jamison Escarpment at Sublime Point 24th March 2009. Fire-lighters watching on as their blaze gets out of control at Sublime Point 24th March 2009. East side of Sublime Point (5th April 2009) showing burnt vegetation, where the HR burning had escaped and nearly entered down into the Jamison Valley. 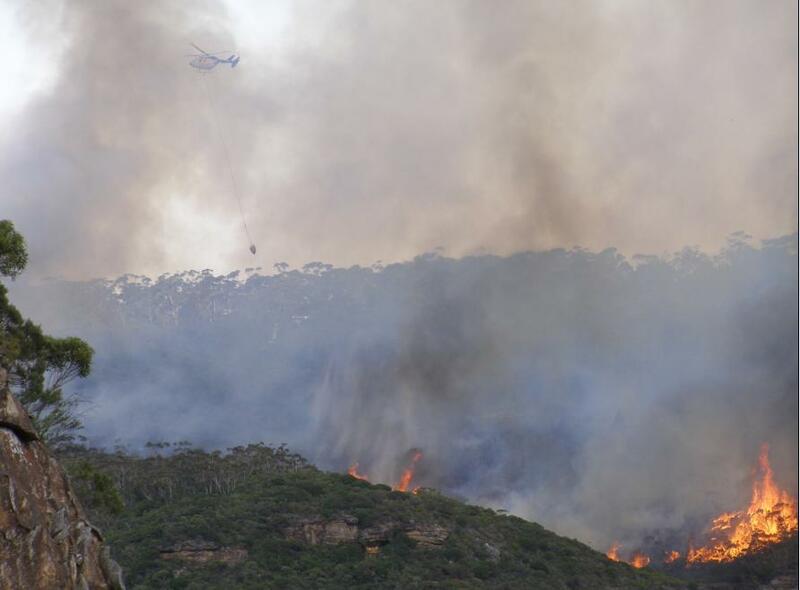 (The media spin by bushfire management was that this section was arson, but not surprisingly the culprit was never found). 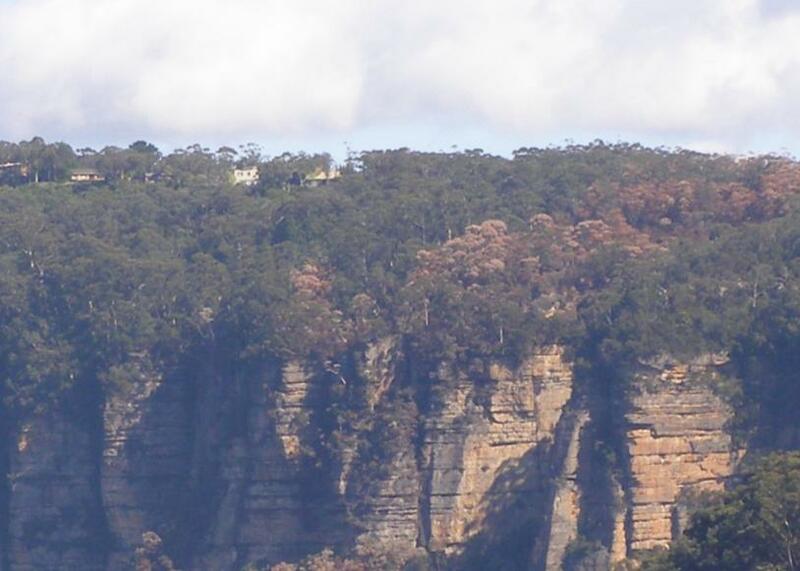 Leura’s recently approved and created ‘ The Links Road‘ (31st May 2008) following Council approved destruction of escarpment vegetation and subsequent subdivision ready for escarpment housing..with views. 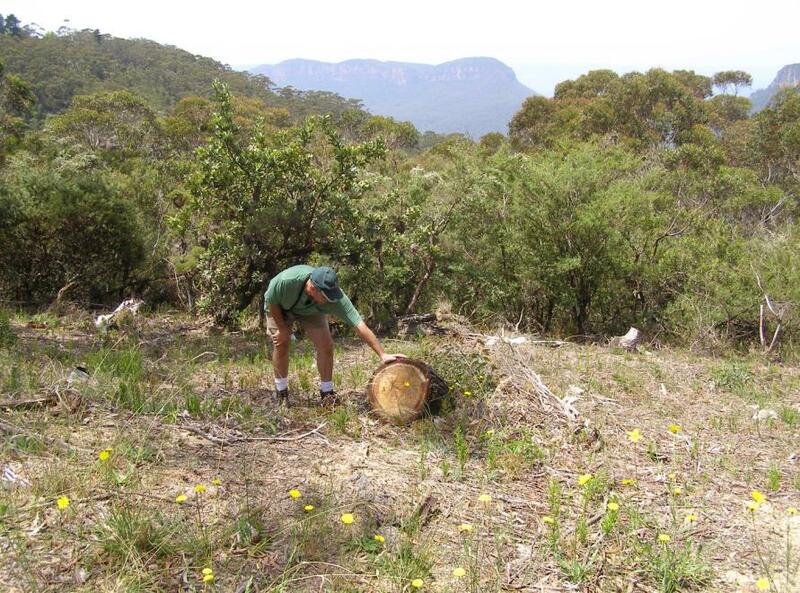 Editor inspecting native escarpment site on Cliff Drive, Katoomba back on 12th January 2008 that had been recently slashed by the Wildlife Service. It just so happened that a house opposite on Cliff Drive was up for sale and would benefit from the fresh views of the Jamison Valley. 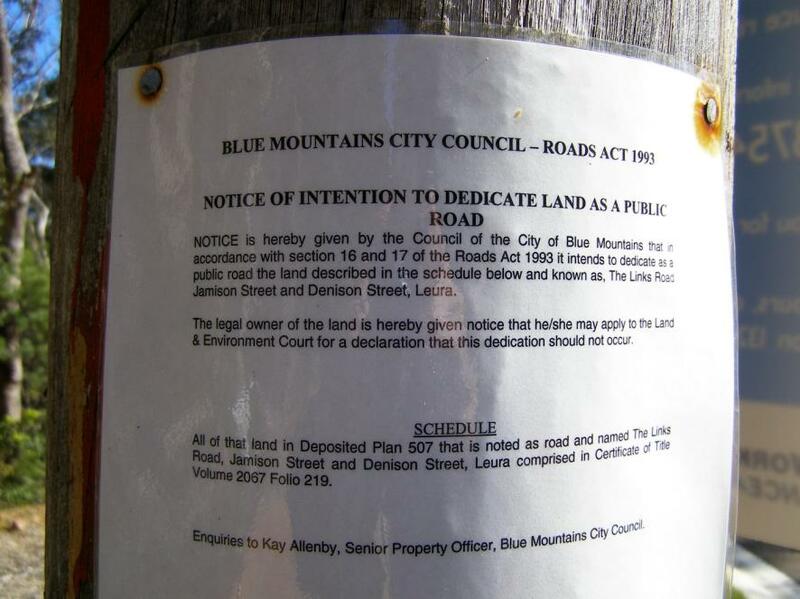 or is it more a case of ‘overlooked‘ by Blue Mountains (city)Council? 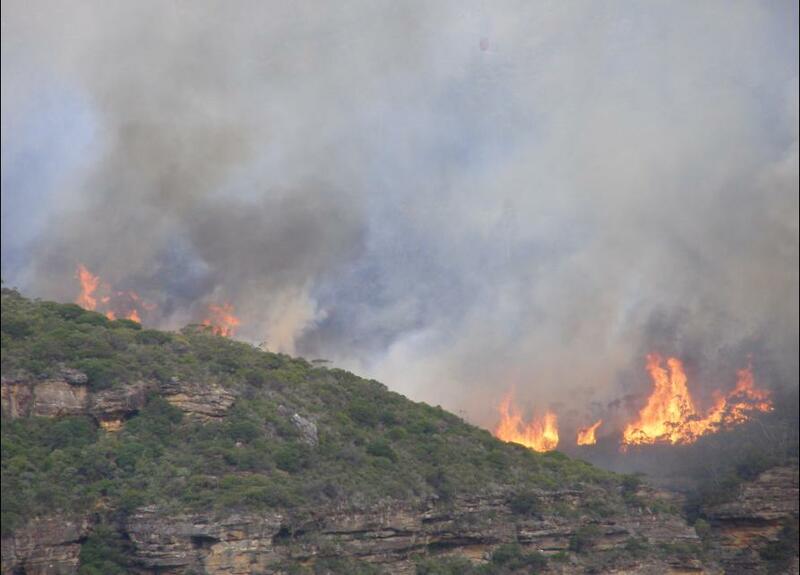 This entry was posted on Thursday, June 2nd, 2011	and is filed under Blue Mountains (AU), Threats from Bushfire, Threats from Development.